Nokia 8₹ 25,990 has finally received Android 9.0 Pie, albiet via Nokia Beta Labs. The latest development comes several months after the Nokia 8 received Android 8.1 Oreo. Nokia brand licensee HMD Global was originally set to release the Android Pie update for its 2017 flagship in November. However, the update was delayed due to “few issues”. Aside from the new beta update for the Nokia 8, the Finnish giant has started rolling out Android Pie for the Nokia 7. The smartphone was exclusively launched in China back in October last year. HMD Global Chief Product Officer Juho Sarvikas in a tweet on Tuesday announced that the Android 9.0 Pie update for the Nokia 8 is now available through Nokia Beta Labs. “Since you had to wait a bit longer than expected for Android 9 on your Nokia 8, we decided to make an immediate Beta Labs release. Please join us in finalising the commercial release – your feedback is extremely valuable,” Sarvikas tweeted, without revealing any concrete schedule around the public release of Android Pie for the Nokia 8. To experience Android 9.0 Pie on your Nokia 8, you need to visit the official Nokia Beta Labs website and then sign in using your credentials or using a Google or Facebook account. HMD Global is set to use the early feedback from beta testers to build the public release of Android Pie for the Nokia 8. However, it is important to note that being a beta release, the update may have some bugs. It is, thus, recommended to back up your data before signing in on the Nokia Beta Labs site. The Pie update for the Nokia 8 includes a new system navigation as well as features such as Adaptive Battery, Adaptive Brightness, and the December 2018 Android security patch, GSMArena notes. It weighs in at over 1.5GB. Globally launched back in August last year with Android 7.1.1 Nougat, the Nokia 8 received an update to Android 8.0 Oreo in November last year and Android 8.1 Oreo in February this year. The Android Pie update for the Nokia 8 was due in November. However, HMD Global cited a few issues that have pushed back the official rollout to the latest Android version. Alongside bringing the latest update via Nokia Beta Labs for the Nokia 8, HMD Global has started rolling out the public release of Android 9.0 Pie for the Nokia 7. The official Nokia account on Weibo announced the new rollout. The update carries version number 340C.B202 and is over 1.6GB in size. Users need to have free space of 3332MB on their Nokia 7 to download the update package. 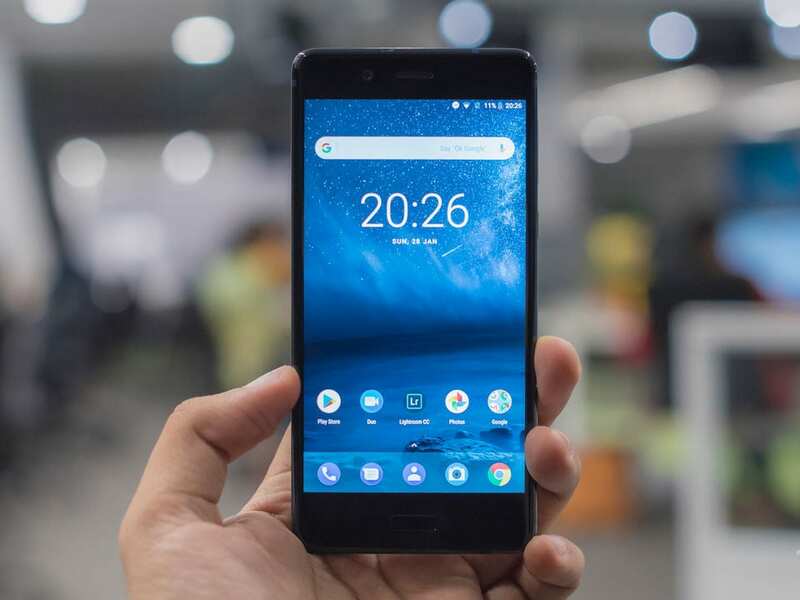 As reported by LoveNokia.net, the Android Pie update for the Nokia 7 includes the gesture-based navigation system as well as support for Qualcomm aptX HD Bluetooth and Dual VoLTE. It is also said to bring a text magnifier, dedicated screen rotation button, new camera UI, and localised apps. Additionally, the update includes the November 2018 Android security patch. The Nokia 7 is notably a China-exclusive smartphone that was launched in the country in October last year. The smartphone debuted in Android 7.1.1 Nougat, though an update to Android Oreo was also promised. Unlike other Nokia models of 2017, the Nokia 7 wasn’t a part of Google’s Android Oneprogramme. But nevertheless, HMD Global asserted regular software updates for the handset.